March 22, 2011 – At 22:09 Stations 1 & 2 were dispatched to the area of the Manheim Diner for a reported vehicle accident with unknown injuries. Chief 730 (Reed) arrived on scene and was met with a 2 vehicle accident with one vehicle rolled over on its side and no injuries. Crews assisted with traffic control, and applied oil-dry to the area around the vehicles. 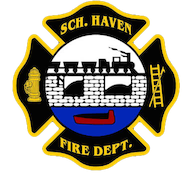 All Schuylkill Haven units were cleared by Chief 730 after aprox. 45 minutes.